Pacific Grove's Monarch Grove Sanctuary is located on Ridge Road off of Lighthouse Avenue in downtown Pacific Grove. It is open everyday from sunrise to sundown and is free. It is highly advised for visitors to visit the sanctuary while a Museum sanctuary Docent is present to answer questions show the monarchs in viewing scopes. Docents are present everyday from 12 to 3. The Monarch Butterflies arrive in October to cluster together on the pines and eucalyptus trees of the Sanctuary. The monarch migration to Pacific Grove is so inspiring that Pacific Grove is nicknamed "Butterfly Town, U.S.A." The community has always welcomed the butterflies and sought their protection. Citizens of Pacific Grove voted to create an additional tax to create the Monarch Grove Sanctuary, led by dedicated volunteers. The Pacific Grove Police Department continues to enforce strict regulations that prohibit the "molestation of butterflies." The fine? $1,000. Where do they come from? 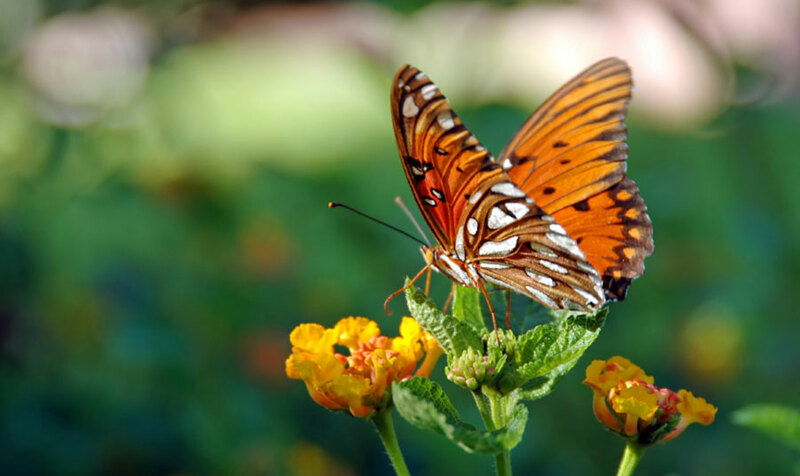 The Monarch Butterfly (Danaus plexippus) is a widespread tropical insect that ranges as far north as Canada. It cannot withstand freezing winter temperatures. To survive, the Monarch migrates to safe overwintering sites that are neither cold enough to kill it, nor so warm that it wastes precious energy flying too much. Monarchs east of the Rocky Mountains spend the winters in high mountains in central Mexico. Monarchs west of the Rockies migrate to locations on the central California coast. En route, they may travel as far as 2,000 miles, covering one hundred miles per day, and flying as high as 10,000 feet. A mighty achievement for such a seemingly fragile insect! Why is this migration so unique? In many migrating species, such as birds and whales, the same individuals travel the migration route year after year. In contrast, migrating Monarchs have never been to their destination before. In fact, several generations of Monarchs have lived and died since last year's butterflies departed.